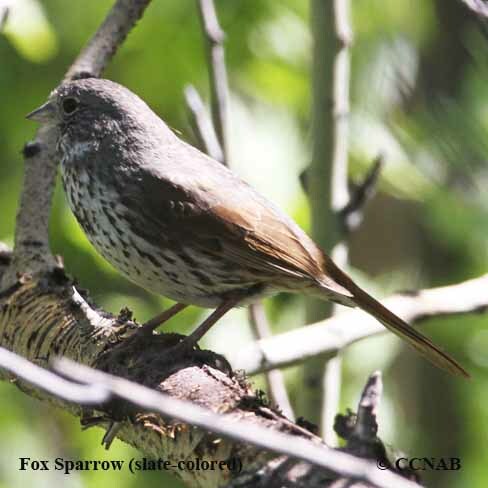 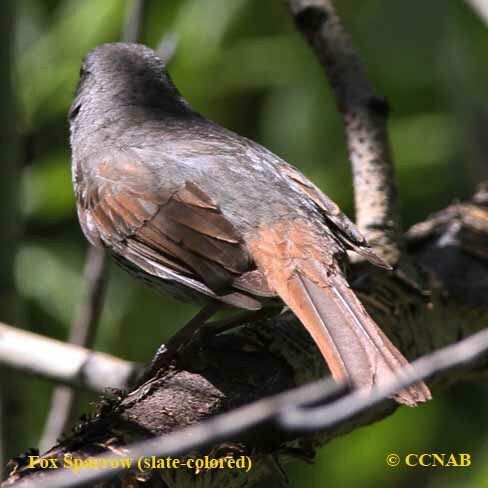 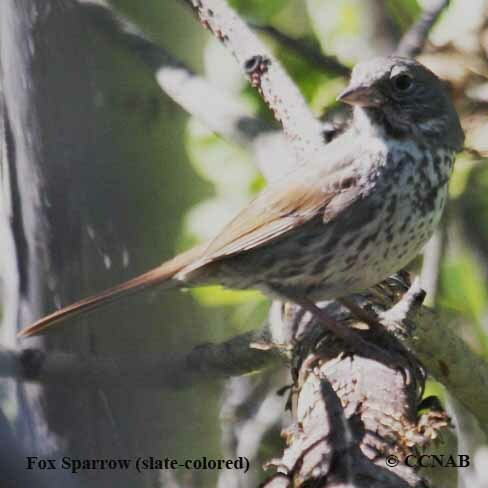 The Fox Sparrow (slate-colored) is one of the four sub-species of the Fox Sparrow. 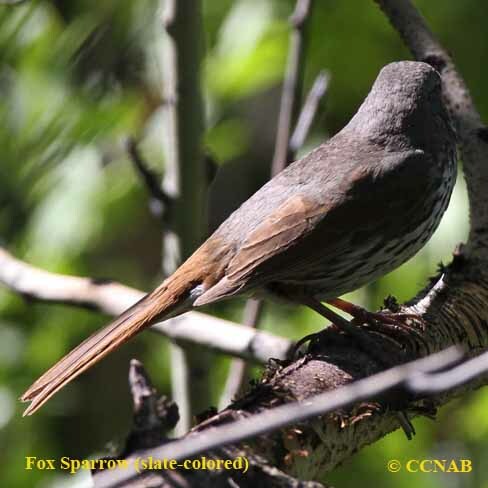 It is seen in the west coast states, it is mostly likely to be found on the eastern ranges of the Rocky Mountains, from Washington, south into California. 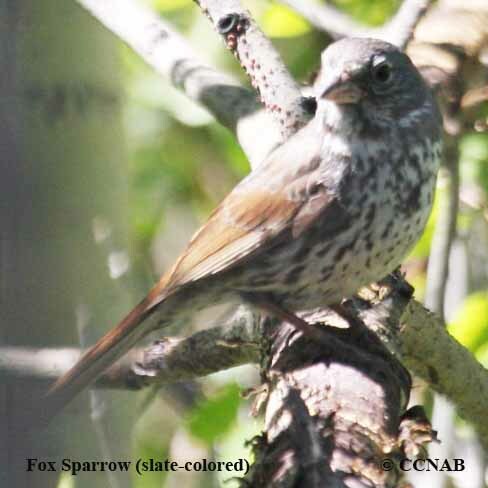 It can be easly seen during the winter months, when it shows up at backyard bird feeders.